The Alaska Historical Society actively advocates for state and federal history programs and funding. As an independent non-profit with statewide membership, AHS shares with legislators the positive impacts that the Office of History and Archaeology and the Division of Libraries, Archives and Museums bring to Alaska residents. We also advocate for social studies programs in schools, statewide commemoration activities, and special projects that improve both scholarship on, and education about, Alaska’s history. 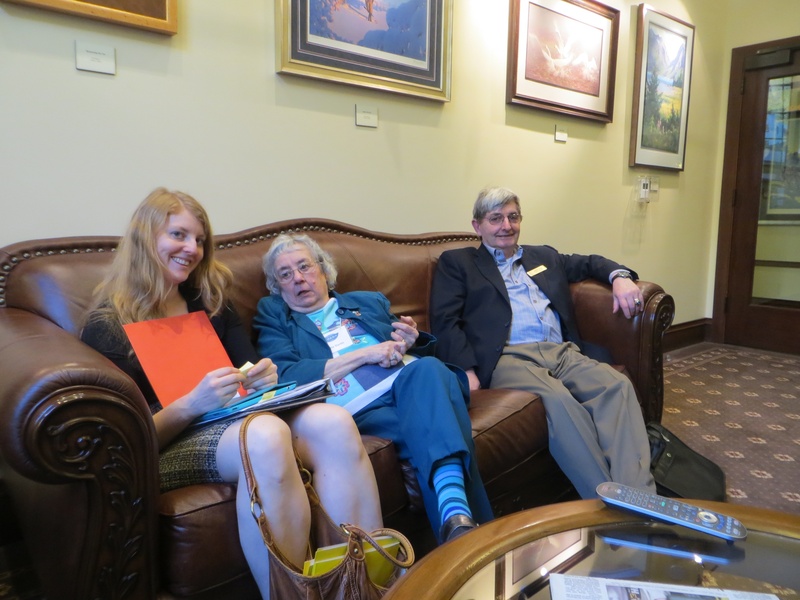 Advocacy committee members meet with legislators at home and in Juneau to make sure that funding for the humanities is not overlooked. On the federal level, AHS works with Alaska’s legislators to secure funding for the National Endowment for the Humanities, the Institute of Museum and Library Services, the National Archives and Records Administration, the National Park Service, and other agencies that work to safeguard our history and culture. There are many ways that you can be a history advocate. Please review the AHS advocacy priorities and let your legislators know that these priorities matter to you and your community. This can be done either in person, over the phone, through e-mail, or by mail. Your voice truly matters. If you are interested in engaging in a deeper way with advocacy, please consider serving on the Advocacy Committee. If you are interested in sharing your expertise or want to learn the ropes of state and federal advocacy, please be in touch! Your energy and enthusiasm will be most welcome. Please write or e-mail your State legislators ASAP, indicating your support of our valuable archives at the University of Alaska Fairbanks, the University of Alaska Anchorage, the Alaska State Library, and smaller collections housed at local historical societies and museums around the state. Also indicate your support of the State Library, Archives, Museum (SLAM) building and the State Office of History and Archeology and encourage them to include the necessary funding in the budget to keep these key state institutions operational.